The Alcatel Onetouch Idol 4 and 4s were announced at Mobile World Congress last week, making the Idol 3 yesterday's news. That means a steep discount is in order. 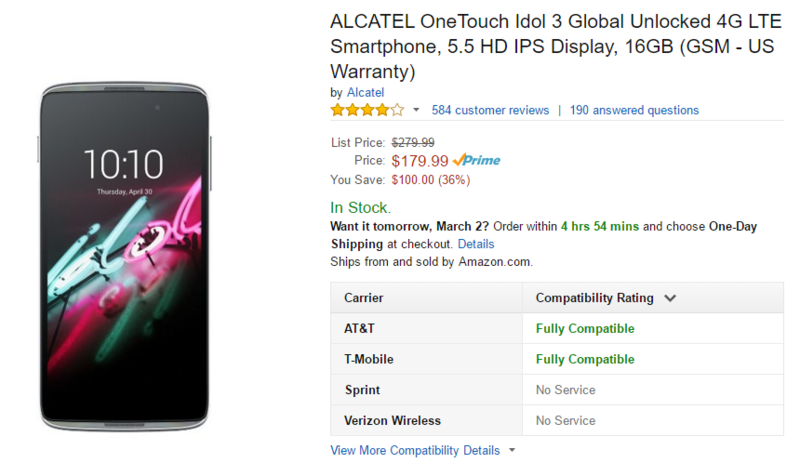 The 5.5-inch Idol 3 has dropped $70 on Amazon from the original $250 price to $179.99 and the smaller 4.7-inch Idol 3 is down $30 to $169.99. 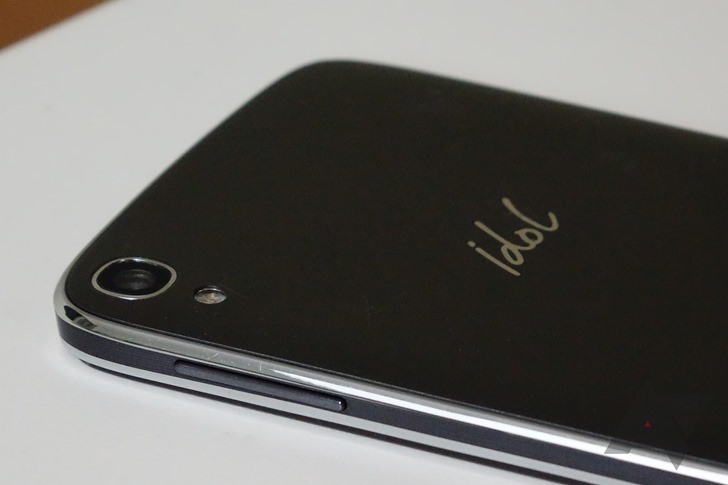 There are a few differences between the two versions of the Idol 3, and the larger one comes out ahead. The 5.5-inch phone has a Snapdragon 615, 2GB of RAM, and a 1080p screen. The smaller one has a Snapdragon 410, 1.5GB of RAM, and a 720p screen. The 5.5-inch phone is a much better deal at only $10 more, unless you absolutely need something smaller. Be aware, a recent update to the Idol 3 disabled band 12 LTE at T-Mobile's request. However, it's unlocked and will work on any GMS/LTE carrier.